The irony, of course, is that the reputations of Wharton and James have dramatically increased in recent decades, in both America and Europe. Virtually all their books are still in print, and many have been made into movies. Bourget, however, is largely relegated to discussion among French academics and, except perhaps for his novel The Disciple, is barely remembered by the reading public. 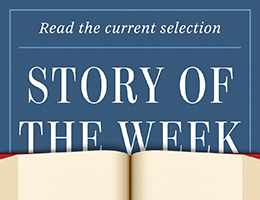 For our Story of the Week selection, then, we present one of Edith Wharton’s early stories, clearly influenced by Bourget yet still admired after a century for its own qualities.